The Diva of Days of Our Lives: Ian Buchanan interview tonight! Join the Diva and friends tonight at 10 pm est on our blogtalkradio show as we interview actor, Ian Buchanan. 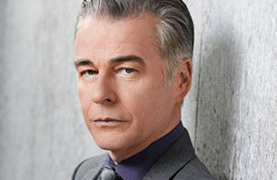 Ian is back on General Hospital as Duke Lavery. Ian portrayed Ian McAllister on Days of our Lives last year. Call in to talk to Ian at 914.338.1239 then press 1 or join the fans in our chat room on the show page. Our interview tonight is featured on the home page of Blogtalkradio!